Just moments from the aquamarine of the Atlantic Ocean’s Gulfstream current, Admiral’s Cove is set on a manicured carpet of green fairways designed by Robert Von Hagge. 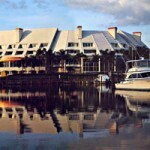 Over five miles of navigatable waterways provide deep-water dockage for yachts up to 100 feet. A manned gatehouse is provided for estate homes, villas, club cottages, patio and harbor homes. The custom estate homes of Admiral’s Cove have a blend of architectural stylesbuilt by a select group of Florida’s most talented and award winning custom estate builders. 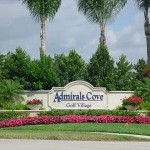 The Club at Admiral’s Cove is a main point of activity for residents and members. The club provides members witha wealth of ammenities, luxury and social activities. The Bermuda styled club offers 34 lodge rooms and suites, a grand dinning room and 71 slip private harbor. The Clubhouse in The Golf Village offers a relaxed and more private atmosphere.